Experts believe that unprofitable projects invested by enterprises under the Ministry of Industry and Trade’s (MOIT) management should be sold even at a loss. MOIT has repeatedly affirmed that the restructure of 12 unprofitable projects has gained initial successes. 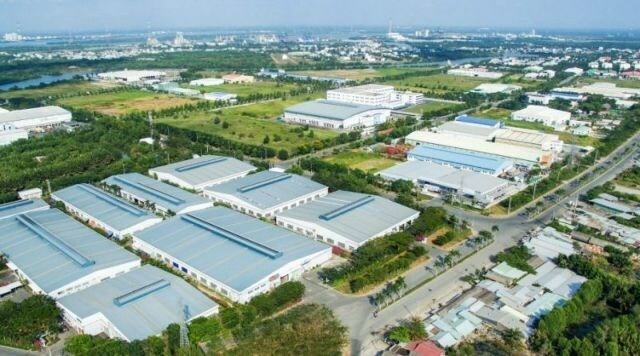 According to MOIT’s Deputy Minister Tran Quoc Khanh, of six operational plants, two have made profits, including DAP 1 Fertilizer Plant in Hai Phong and the Vietnam-China Steel Mill. The other four plants have stabilized their operation and seen losses decrease. The loss taken by the Ha Bac Fertilizer Plant in 2018, for example, decreased by VND266 billion. The figures were VND288 billion for Lao Cai DAP No 2 and VND10 billion for Ninh Binh Fertilizer. As for the Dung Quat Biofuel Plant, according to Pham Van Vuong, director of BSR-BF, the owner of the plant, the MOIT and PetroVietnam want to resume operation of the plant first and withdraw capital from the project later. The second phase of the steel complex in Thai Nguyen remains stalled despite the huge amount of VND4.5 trillion poured into it. Nguoi Lao Dong reported that the project has come to a deadlock as disputes with the Chinese EPC contractor have not been settled. Of six operational plants, two have made profits, including DAP 1 Fertilizer Plant in Hai Phong and the Vietnam-China Steel Mill. The other four plants have stabilized their operation and seen losses decrease. Meanwhile, the Ninh Binh Fertilizer Plant, one of four unprofitable projects of the Vietnam Chemicals Group (Vinachem), is lacking capital to maintain production. Vinachem’s chair Nguyen Phu Cuong warned that if the problems of Ninh Binh cannot be solved, it may lead to the collapse of Vinachem as well. Big difficulties are also attacking the Ha Bac Fertilizer Plant. Its financial cost is up to VND820 billion a year and is expected to rise to VND870 billion in 2019. Vo Dai Luoc, former head of the Institute for the World’s Economics and Politics, said that state agencies attempt to ‘take on’ unprofitable projects and solve their questions, and this will lead to an ‘impasse’. “The State wants to restructure projects and push unprofitable projects back to operation with preferential policies and support. But this won’t help,” Luoc said. He went on to say that the reported figures about the loss reduction are just ‘the tip of the iceberg’, while state agencies still cannot find solutions to recover the plan in a sustainable way. He believes that it would be better to sell projects to private investors. “The projects need to be sold, even at a loss, so as to attract investors,” Luoc said.